This rich and savory pork roast is full of flavor, and it's easily customizable. Increase or decrease the number of garlic cloves according to your personal taste. You'll have an opportunity to try it several ways because chances are this is a recipe you'll be making time and time again. With sharp knife, make holes in pork roast and stuff holes with half of the garlic cloves. Sprinkle salt and pepper over roast. Brown in olive oil in heavy skillet over medium heat, about 4 to 5 minutes. Mix horseradish and mustard in small bowl and spread over roast. Place remaining garlic, baby carrots, onion, and potatoes in 4 to 5-quart crock pot. Arrange pork roast on top. Pour chicken broth over all. 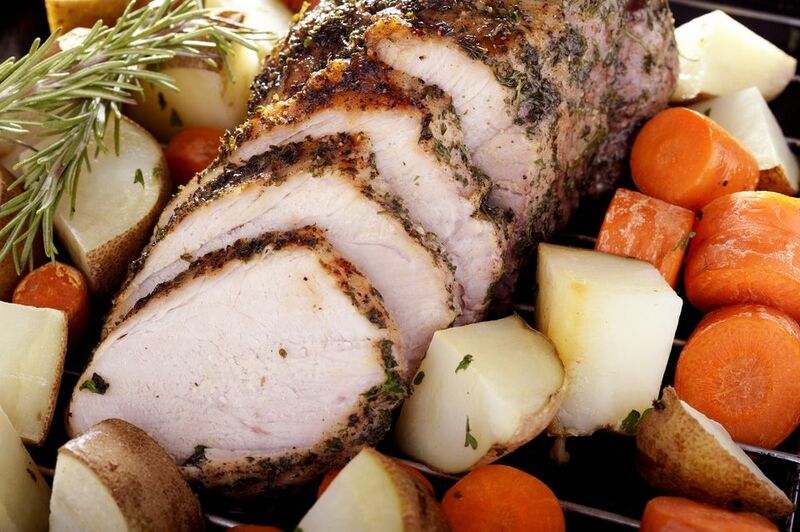 Cover and cook on low for 8 to 10 hours until pork roast is tender and thoroughly cooked.